Trump has done it this time! 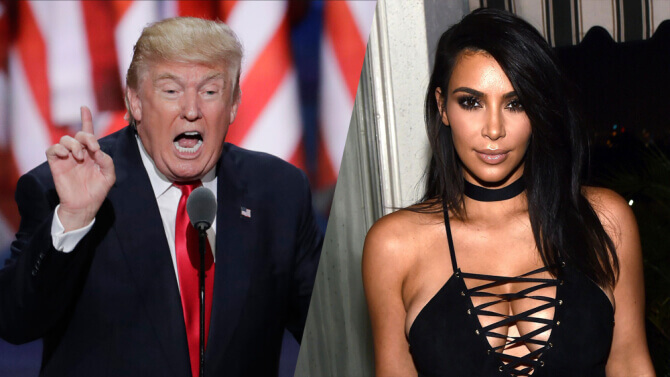 He has managed to make America’s most hated couple, Kim Kardashian and Kanye West leave the U.S…..forever! Is this news too good to be true? Well, according to recent reports, rapper Kanye West is “threatening” to leave the United States for good, after allegedly putting up with continued racism. West claims that he does not want his daughter to face these same issues. And Kim has to go to. But will she give up her attention seeking life style to save her child from this alleged racism? I guess we will have to see. Kanye’s threat reportedly stems from an incident that took place when Kim Kardashian was entering a medical building in California. A teenager outside of the building reportedly called Kim a “n-word lover.” When he was confronted, he reportedly threatened Kim’s life.